LOS ANGELES — Canadian midfielder Mark-Anthony Kaye will be out four to six months following surgery scheduled for next Monday to repair a fractured ankle. Los Angeles FC says the 23-year-old from Toronto, who was having a breakthrough rookie season in MLS, sustained a medial malleolus fracture in his left ankle. 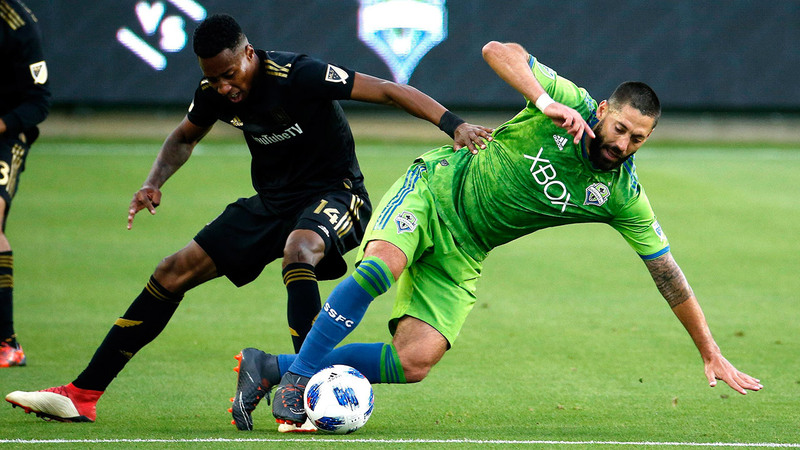 "Mark has shown great progress this year and has been a key contributor throughout the first half of the season," LAFC GM John Thorrington said in a release. "We know he will work hard to come back and build on what has been a fantastic start to his LAFC career." The Canadian international had started all but one regular-season contest for LAFC with two goals and five assists in 1,582 minutes. Kaye was hurt 16 minutes into LAFC’s 2-2 tie with the Los Angeles Galaxy on July 26. Advancing on the Galaxy penalty box, he tried to pull the ball back to avoid Galaxy midfielder Perry Kitchen. The Galaxy player appeared to clip his leg and Kaye’s ankle rolled on the turf. Kaye went down in obvious pain clutching his lower left leg. A foul was called on the play. The young Canadian, not putting any weight on his left leg, was eventually helped off the field in near tears by two trainers. The former York University player spent time with Toronto FC II in its inaugural USL season in 2015 before playing the next two seasons with Louisville City FC of the USL. He signed with expansion LAFC in February.